It’s not called the golden hour for nothing – as the sun rises in the wee hours, giving everything a rosy hue, photographers take advantage of the perfect natural light. If you want to learn how the pros capture glowing city scenes at this winning morning hour, book in for the Cityscapes Masterclass at Sydney Tower. 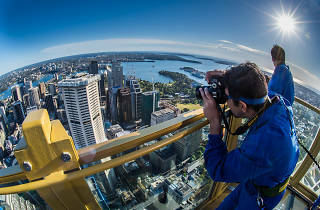 You’ll need a basic understanding of digital SLR cameras (and you’ll have to bring yours along) on this two hour high-rise photography adventure. 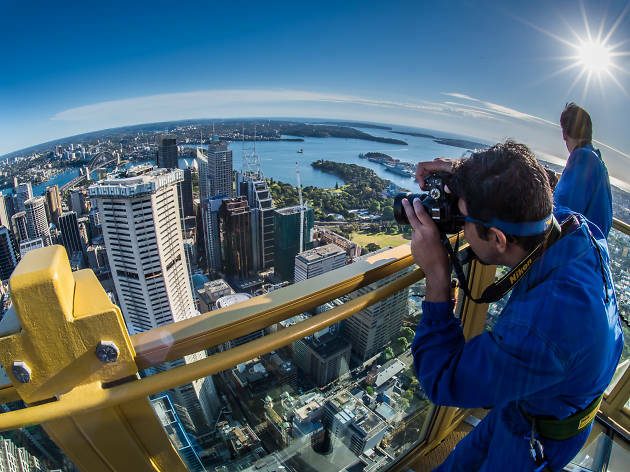 Your Nikon School lecturer will lead the small group on a private skywalk for the first half of the tour, then you can spend another hour on the Sydney Tower Eye Observation Deck. Along the way you’ll be guided in creative composition, lens configuration and advanced exposure techniques to build your photography skills. And you won’t have to skip breakfast – there’s a spread of pastries, fruit and drinks included in the course.